. 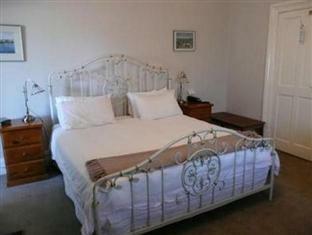 كما يقدم Arundel's Boutique Accommodation الكثير من الخدمات لإغناء رحلتك في برث. تتضمن الميزات الرئيسية في هذا الفندق: واي فاي مجاني في جميع الغرف, تسجيل وصول/تسجيل خروج خاص, تخزين الأمتعة, واي فاي في المناطق العامة, صف السيارات. تنعكس أجواء Arundel's Boutique Accommodation في غرف الضيوف.تلفزيون بشاشة مسطحة, حوض الاسترخاء, غرف لغير المدخنين, مكيف هواء, تدفئة هي بعض الميزات الموجود في العديد من الغرف. إن حديقة هو المكان الأمثل في الفندق للاسترخاء وتفريغ طاقتك بعد نهار طويل. إن Arundel's Boutique Accommodation هو خيارك لخدمة الفنادق الراقية في برث. يرجى ملاحظة أنه يجب على النزلاء تحديد وقت الوصول التقريبي عند الحجز. 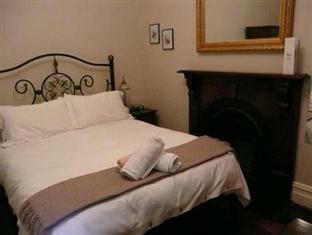 This is a cozy little place where you can stay a night in Freo but bit of walk from highlight street. The breakfast was not much choice and could do better. The place really clean. If you planing to go out to drink make sure you can remember password to get in main door and your own room when you are drunk. Arundels' has great character and someone spent time and money doing it up maybe ten years ago. Now the paint is tired and it has lost it's shine. It seemed a bit grubby and in need of a good scrub in the bathroom particularly but what really stood out was the dull, stained bedspread and matching pillow cases, two accompanying pillow cases had someone else's hair on them and the sheets were totally threadbare- you could see straight through them, you could also see yellowing on the pillows and pillow cases. The floor boards were beautifully polished but the gaps in them allowed view of the supporting underfloor- much like outdoor decking- and left us wondering how many creepy crawlies made their way in and out through, it would have been easy to loose small items if you were to drop them. We were disappointed and would not stay there again. I stayed here with my adult daughter, and even though we had to share a bed, there was heaps of room. We loved the ambiance of our room, the big ensuite bathroom, car parking, security, location wonderful for an easy walk into town or heading the opposite direction to nearby eateries. Great bottle shop over the road with WA wines. I would definitely stay here again. I was pleasantly surprised when I opened the door, beautiful! We stayed at the apartments, not the b&b. 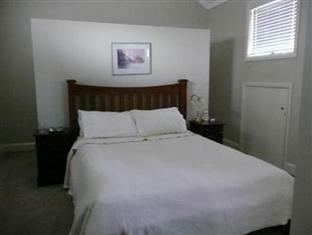 Huge living room, 3 bedrooms, wonderfully appointed kitchen, 2 baths. Well worth the price and I could have rented this place for a year it was so nice. Only one block to the waterfront and free bus area, easy walking distance to everything and anliquor store across the street (we don't drink alcohol but it has non-alcoholic beer and wine which is difficult to find). Lovely place. We had our own parking space, though a little tight but much appreciated. Lots of character, had a king size bed wit bay view window and spa tub. I decided to change rooms because my original room had no window which I really didn't like. Fire place and complementary port wine. Wonderful spa tub which seems noisy in the room but I asked around and the other guests couldn't hear it when I used it. Nice breakfast with croissants, fruit, yoghurt, juice, coffee, etc. We spent one night at the Arundel Hotel late February for our Ruby anniversary night. It was very quaint, quiet and cosy. The furnishings and decor are very tasteful and the continental breakfast was ample and varied. The lady on staff was helpful and friendly. 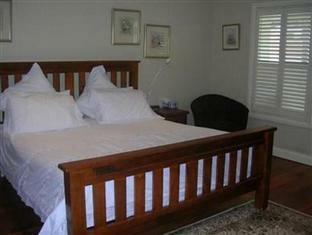 We would recommend this as a special getaway for a couple looking for a little peace and quiet but near to the main hub of Freo. We hope to return next year and will pay the extra to get a spa room next time. We loved everything about this place. From the convenient location, check in process, delicious food and tastefully decorated room, we could fault nothing. We have already been recommending this place to family and friends and we will return for sure. We were impressed that everything worked and operated smoothly, and was so organised, especially the breakfast set up, even the small touches were noticed, the fresh fruit salad was divine, and the coffee machine a gem! Wish we had planned on staying longer. Not really boutique but if you want clean and cheap in what seems to be expensive Freo this is okay. We were right next to the front door so lots of banging and crashing as people came and went. Didn’t meet ant staff so cAnt comment although did get a very long message about how to get in. Parking advertised but only 2 spots out back so had to take our luck on the street. Only problem is parking. The whole street is packed! 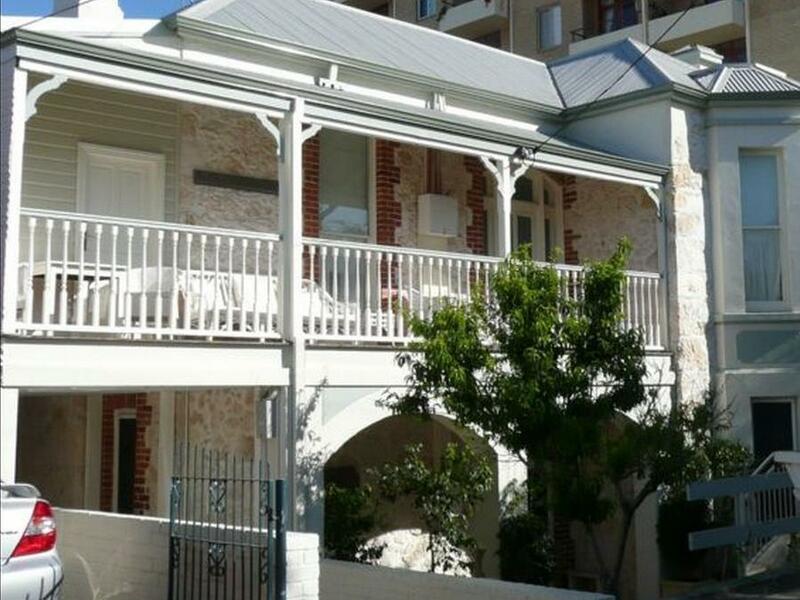 This B & B, within 3 minutes' walk of the "Cappucino Strip" in Fremantle is a lovely old two storey home with quality furnishings and friendly staff. The continental breakfast was lovely. An added bonus was the laundry with washing machine and dryer. We would definitely stay here again but probably get a bigger room next time. Nice hotel and nice location. I did have a little trouble getting in at first as is a keycode and no one answered the door. I had no battery on phone so couldn't call anyone. So had to charge my phone and call to gain entry. The woman was very helpful and gave me the access code. The room was very nice and comfortable with good selection of tea/coffee/water. The bathroom featured a spa but as I arrived around 8pm I didn't use it as when I tried it was so loud I thought I would annoy the neighbours so switched it off. The wifi was fast and breakfast was very good. Staff very helpful. I would stay here again. My tip is just to call the hotel after booking to get the code for entry. Its a little gem in Fremantle! Staff are well organized, we notice them advance that we will be late check in, received staff phone call and msg earlier to confirm my staying and guide me how to get in. The room is clean, bed is comfy, and the spa is clean and huge. Only thing is have quite big noise while operating it. Provided free B&B breakfast, simple toast and stuff. Will definitely stay again next time! It was a wonderful stay at Arundel's Boutique Accommodation. 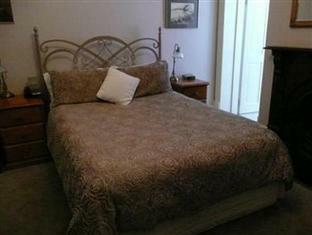 The room was comfortable and clean, and the staff are friendly and helpful. 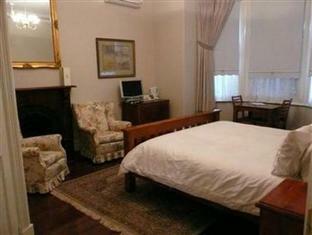 If I go come back to Fremantle for a holiday, I will definitely book Arundel's again. But I hope that they will change 1) breakfast menu...to include eggs. 2) Clean up the porch and plant some flowers. The exterior looks a bit run down. For the price which I have paid especially if they rate themselves as a 4 star hotel, I would expect a 4-star environment. We checked in late, so we saw no one. A bit difficult to understand how to enter the code to enter the hotel and room. Basic breakfast. 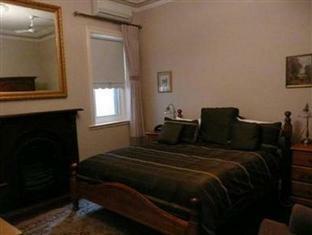 Well located, central location, walking distance to all Freemantle attractions. Bathroom had a not so pleasant smell in the bathroom. Other then that a very nice stay, just keep the bathroom door closed. It super awesome. Although the outside was old but the interior was very nice and comfortable. Will stay here again when return to Perth.